Imagine yourself roaming the beach after a long day of fun in the sun. The air is warm and there is a cool breeze coming from the shore. Maybe you’re there to meet up with friends for a little after dark adventure, or you’re by yourself and looking for a little contemplative alone time. 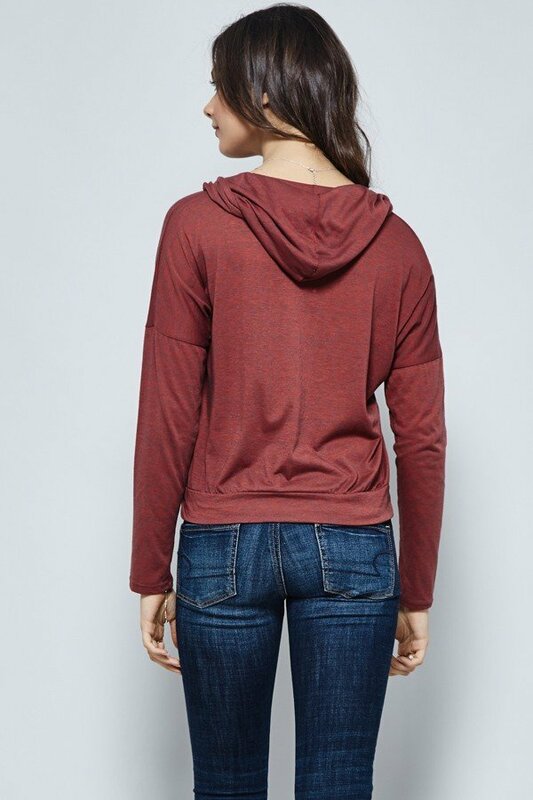 This hoodie is made for cool summer evenings like these. You’ll love wrapping yourself in the soft jersey material that’s not too heavy for a warm summer’s night. The rugged looking cut details and the rust color with blue marled pattern give this hoodie a vintage look. 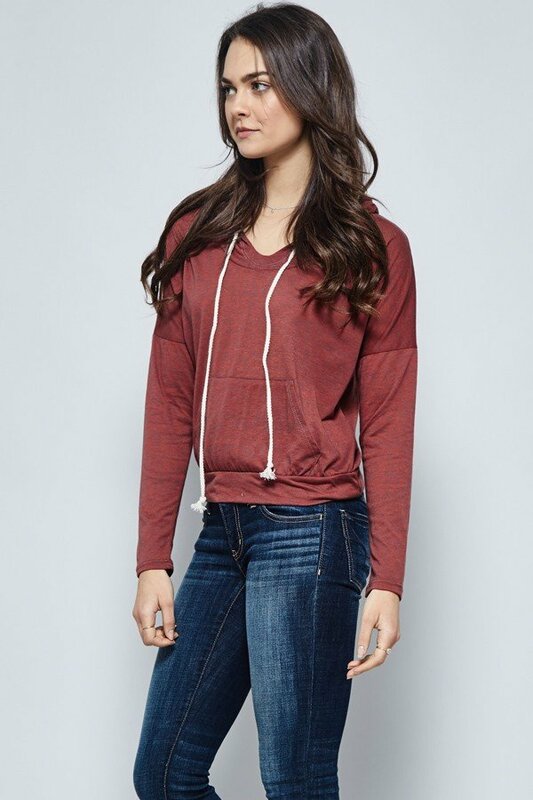 The front pocket and drawstring on the hood are classic features of a hooded sweatshirt. 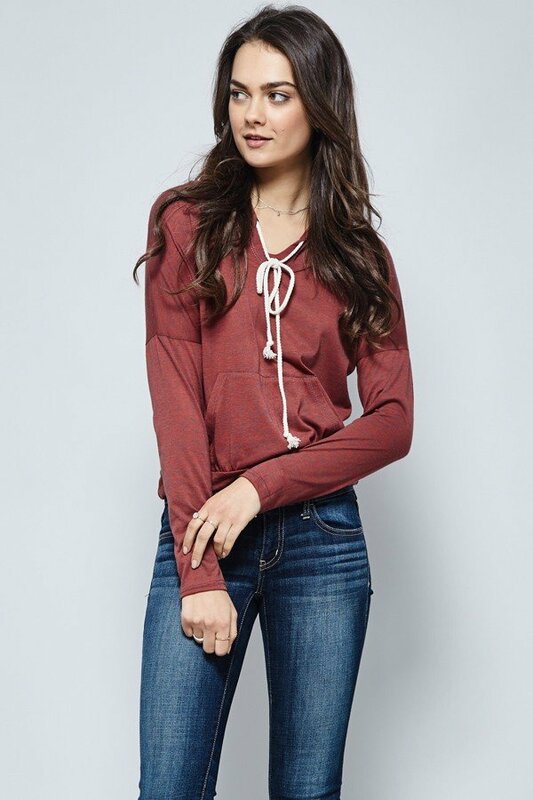 The fit of this hoodie works best when worn more form fitting. The length should sit just above the waist and while the arms are long, they should fit closely.